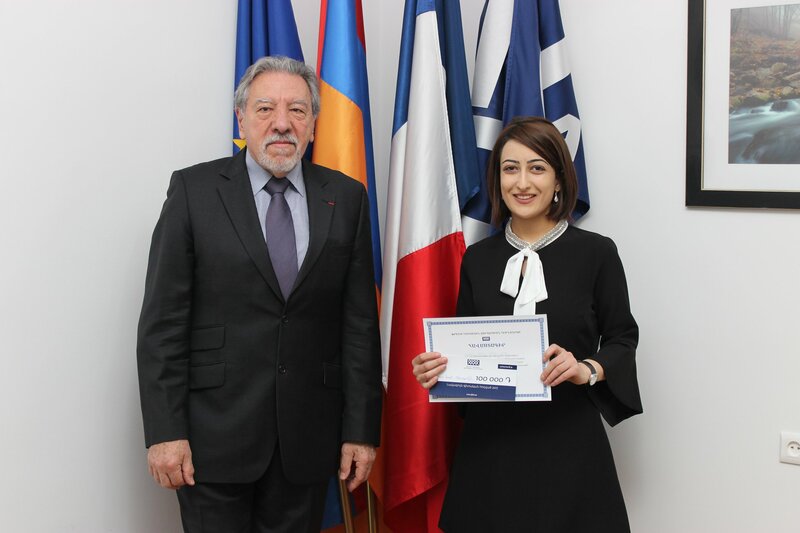 Today Mr. Alain TOUHADIAN, President of the Board of Trustees of the French Armenian Development Foundation awarded our best academic article winner, Nare SMBATYAN with a promised prize of 100,000 AMD. The contest was announced in November 2017. The topic of the contest was “Social-economic reintegration of Armenian-Syrian refugees in the RA having Armenian origin”. We thank all other participants in the contest.